Lovegrove Entertainment - Australia's #1 Event Entertainment Agency. We are Australia’s #1 party and corporate event entertainment providers. Are you looking for something spectacular and extraordinary for your upcoming event? Lovegrove Event Entertainment is an industry leading provider of high-quality “wow-factor” shows and performances for corporate events, gala dinners, award nights, charity fundraisers, weddings and private parties. Regardless if you are looking for an off-the-shelf show, or would like to blow your audience’s minds with a spectacular custom performance tailored for your specific event, Lovegrove Event Entertainment has the answer! While our head office is based in Sydney, we have been providing Australia-wide entertainment solutions to all capital cities and regional centres for 20+ years. Browse our portfolio to view details of our range of Australian event entertainment solutions. 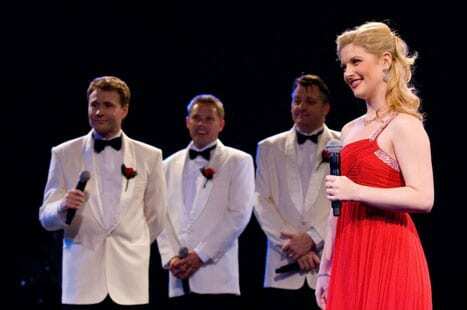 The best songs from the best shows including Hollywood and Broadway blockbusters performed by the stars of Australian Musical Theatre. What is a man without a lady? 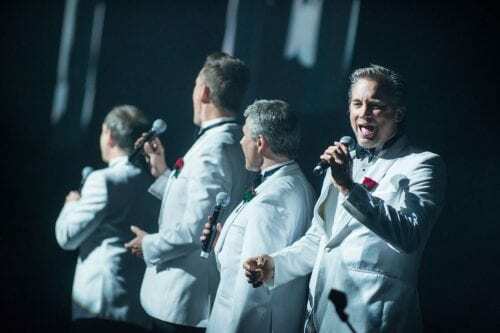 One of Australia’s most popular event entertainment acts delivering the best songs from the best shows by the stars of Australian musical theatre. An outstanding event emcee and award winning performer, Darryl has been wowing corporate, theatrical and event audiences for over 20 years in Australia and overseas. Our high energy & dynamic cover band featuring some of Australia’s most experienced musicians that can adapt to any event and musical genre. The ultimate dance party and event DJ experience. A ‘world-first’ corporate event DJ experience. Enjoy a one hour journey from past to present through music, visuals, events and trivia. Harmony is an award winning singer who delivers an enthralling performance every time and has seen her compared to Whitney Houston and Barbara Streisand. A high energy homage to the music that defined a generation. 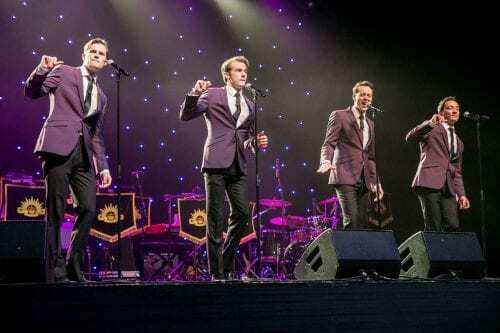 A Motown show meets Jersey Boys for a heart pounding party performance. Capturing the essence of NY’s famous Cotton Club, this is a vibrant swing and jazz show featuring all the elegance of the Great Gatsby and the danger of Harlem after dark. Our custom event and party entertainment service provide flexible solutions where nothing is impossible. Get access to Australia’s best performers for your next event. An award winning father / daughter singing duo who perform a combination of duets, solos, Broadway blockbusters and operatic arias. A vibrant and entertaining show marrying Ricky Martin’s samba and salsa with Michael Buble’s swing and jazz. The ultimate tribute show that always gets the party started! We can provide the perfect wedding entertainment solutions including wedding singers, musicians, party bands and DJs for the most important day of your life. Julie Anderson, Australian Institute of Company Directors. 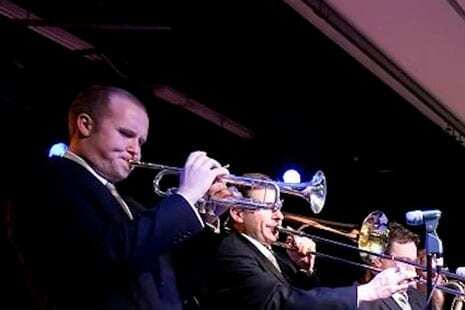 We match the perfect corporate entertainment act to your event. 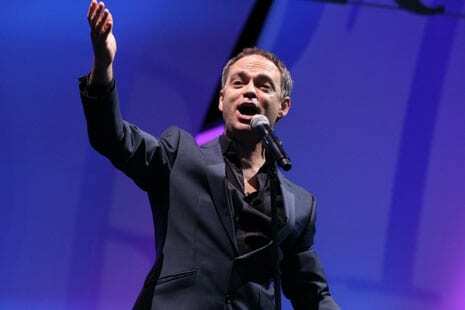 Lovegrove Entertainment is a highly experienced corporate event entertainment provider. We have worked with hundreds of clients – big ones, small ones, blue-chip companies and not-for-profit organisations – matching the perfect entertainers for the event, helping our corporate clients enthral their audiences with event entertainment ideas that match their values and brand. We’ve proudly help raise millions of dollars for countless charities. Founded in 2009 by award winning entertainer and producer Darryl Lovegrove, the Lovegrove Entertainment agency has produced many of the most booked corporate entertainment acts in the industry and provided hundreds of clients with some of the most innovative corporate event ideas. “What an incredible night! Thanks to Lovegrove Entertainment for providing the most polished, incredible entertainment. 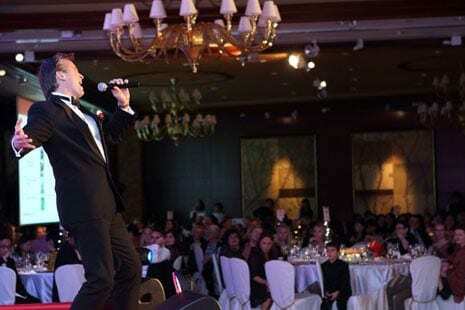 We provide the perfect singers and party band for your celebration or event. Lovegrove Entertainment has unparalleled access to top notch performers who have years of experience in delivering world class entertainment acts. Whatever your taste, we’ve can supply the perfect act. 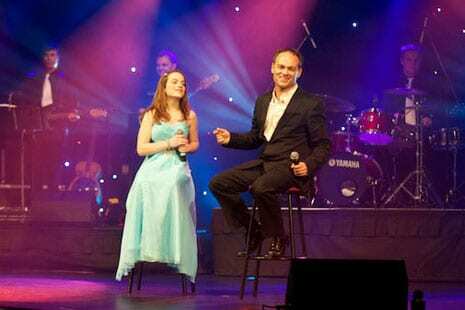 Our professional performers have worked with hundreds private clients over the years. We’ve enthralled and entertained audiences at milestone birthdays, anniversaries, weddings, engagements, bar mitzvahs… You name it, we’ve done it! When love is in the air… we provide the perfect wedding entertainment including singers, bands and DJs. Whether your style is intimate or grand-scale – our reputation for providing outstanding wedding entertainment means that we will listen to what you want and work within your budget to deliver the perfect entertainment for one of the most important days of your life! Professional Sydney MC services for your awards night, gala dinner or wedding. Darryl Lovegrove has quickly become the ‘must-have’ Sydney emcee with a difference. The light slowly dims over the celebratory dinner and heads turn in surprise as your Master of Ceremonies, Darryl Lovegrove, takes the stage singing ‘The Toreador’ song from the opera Carmen. A dynamic, uplifting and unexpected way to start the evening, immediately showing the guests that they are up for something very different! To make a booking or enquiry, please call the office or email us listing as much detail about your event as possible ie: date, venue, number of guests and the type of entertainment you are looking for. Make sure you provide your phone number so we can contact you as soon as possible to get the ball rolling!